/ How To Restore Your Porsche To it’s Former Glory? How To Restore Your Porsche To it’s Former Glory? Do you own a classic Porsche, perhaps a 911, 928 or 356 that you once swanked everywhere you went, but is now rusting on your backyard? Do you know you could restore it to its former glory with just a few simple moves? The first step is to determine what quality of restoration you want and who is going to do the work for you. You can do your own restoration or you can hire a company to do it. Obviously, the latter option would be best. 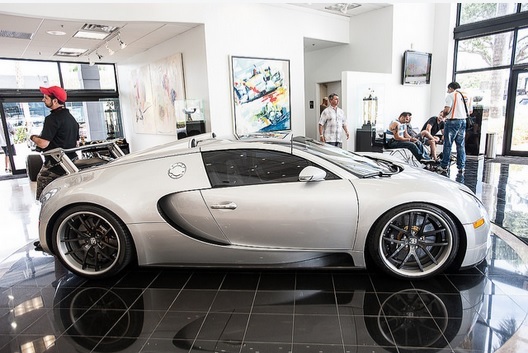 You can restore your car to daily driving conditions or just for display purposes. Should you choose to take on this task yourself, it is essential to document the entire restoration process. Keep all the receipts, and a meticulous description of what you do to the car. This will help you stay on course, and will boost the value of your Porsche should you decide to sell it after restoration. Keep in mind some parts may be difficult to find and expensive depending on your model. Prepare a project notebook. Note down what works and what does not. Also, note what parts were difficult to remove so that you will dress them with anti-seeze during reassembly. Label and bag all components and hardware, then catalog all the bags. It can’t hurt to take plenty of photos too. Wrap the under dash wires and the exposed underbody using aluminum foil before taping. Quality paintwork will reflect the vigor and glory of your restored car. Dryfit everything before you begin the task. Mask underbody parts using aluminum foil when undercoating and/or painting. Use a spray gun for best results. Use a metallic paint for a classic look, but cover with a clear coat. Use all the proper tools, and observe safety precautions. Hold sheet metal repairs in place with duck tape during tact welding. Use two parts epoxy plumber putty to repair small parts that cannot be welded. During lead work, have a shinny and well-tinned surface, and do not spread the lead past this tinned surface. When assembling new hardware, use the parts manual for plating and sizing. Use duct tape to protect painted areas during hood and door installation. By all means get a pair of extra hands, and have a book to refer to the specific details of your model. You've heard several times from the mouth of a friend, or your trusted mechanic, whom you sold the car about a vehicle ECU or computer system but you read a little out there. The ECU stands for "Electronic Control Unite" and were developed in the late 70s while injection systems were improved. The ECU system meets more and more functions into a car and can increase their price. Below are a few important points you need to know, when you own a car with this instrument. Today, almost all private vehicles or utility vehicles such as Porsche, sedans, Audi, Ferrari have at least one computer. The most basic help is monitoring the burns fuel and controlling the engine exhaust. 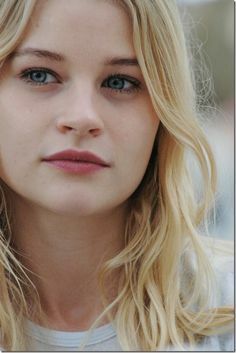 Not all mechanic has the knowledge to repair or obtain valuable information from it. Due to the complexity of many ECU, the electronic components can be endless, as microprocessors that are mounted on a printed board with copper. Keep this in mind when choosing the mechanism to which you will take your car. They are similar to the home computer but collect data differently. And those laptops or receive instructions and information via the keyboard or mouse, the ECU sensors make it through. These have been undergoing changes over the years and are located in different parts of the car, depending on what you want to measure. The work of its sensors will depend on what information you want to know. For example, to control the injection system ECU needs a sensor that determines how much air enters the engine, the temperature of the air entering the pressure and engine speed. Each sensor will correctly place in different parts of propellant. Given its importance, the ECU needs to be protected against a number of elements. These can be vibration, dust, oil or water. However, most of them can work at an average temperature of between - 40 ° C and + 140 ° C. So if you go to buy a car, you should ask, how safe is this piece inside. The variety or number of computers in a car can vary its price significantly. The fact is that the most expensive have ECU that handles sophisticated tasks. There are those that control the ABS system, which comes in airbags, including the systems keyless door opening, those present in radios with digital or screen, also very common, that correct traction of a vehicle. 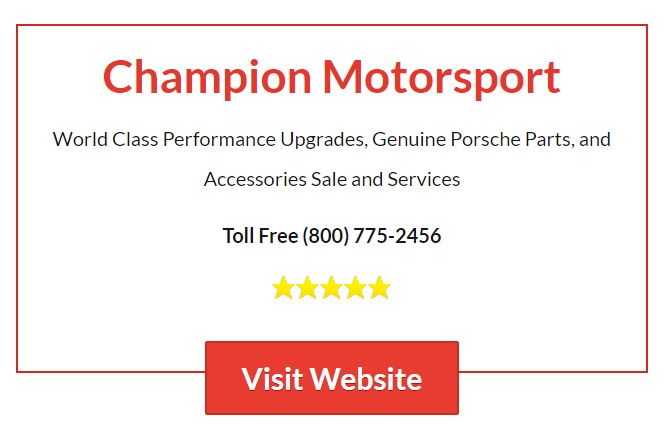 Champion Porsche Dealer Miami of Champion Motorsport - the best place for your high-end vehicle performance upgrade and maintenance service.